I wake with a whisper: Remember. Attics bright with light that isn’t there. like a scarf, like a whisper: remember. 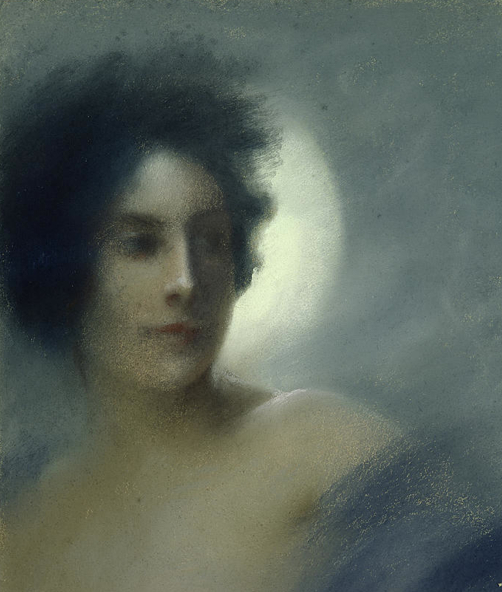 IMAGE: “Woman with a Crescent Moon” by Paul Albert Besnard (1849-1934).